The Qatar Exchange ended in the red area when trading closed Wednesday at 13,418.27 points (0.60%) down 81.29 points from the previous closing of 13,499.56 points on Tuesday. 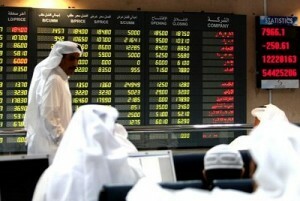 The volume of shares was fell to 27,468,261 from Tuesday 37,868,745 and the value of shares decreased to QR1,321,282,023.69 from QR1,694,331,233.00 on Tuesday. Among the top losers were Qatar Insurance whose share down 2.07% to QR75.70, Ooredoo lost 0.45% to QR154.10, Vodafone Qatar fell 1.82% to QR18.90 and Doha Bank decreased by 0.47% to QR63.80.